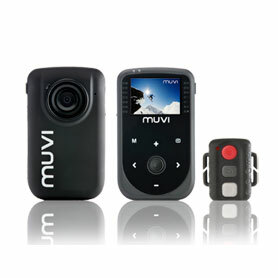 MUVI™ HD-10 Body Cam » Protective Solutions, Inc.
MUVI™ HD-10 Hands-Free Action Camcorder is a full HD 1080p resolution action camera. Includes a touch panel, digital zoom and ships with a 4GB microSD card (upgradable to 32GB) and a 1400 mAh internal battery that will give 4 hours record time. Mounting accessories available separately, includes helmet mounting bracket.